Too scared to pipe decoration straight onto a cake? Use this method for text or any other form of intricate decoration. You can use buttercream or chocolate with this method. Trace your text at the exact size and spacing you want it onto a piece of baking paper, and turn it over to reveal a mirror image of your text. Use a number 3 size (any larger size will not work as well) piping nozzle to pipe your cream onto the mirror side of the paper. You may need to tack the baking paper onto the table to keep it flat. Use a toothpick to tidy up any messy lines. Put this paper flat into your freezer and leave to freeze for a least 1 hour. Put your cake into the freezer too, to firm up your frosted cake surface. 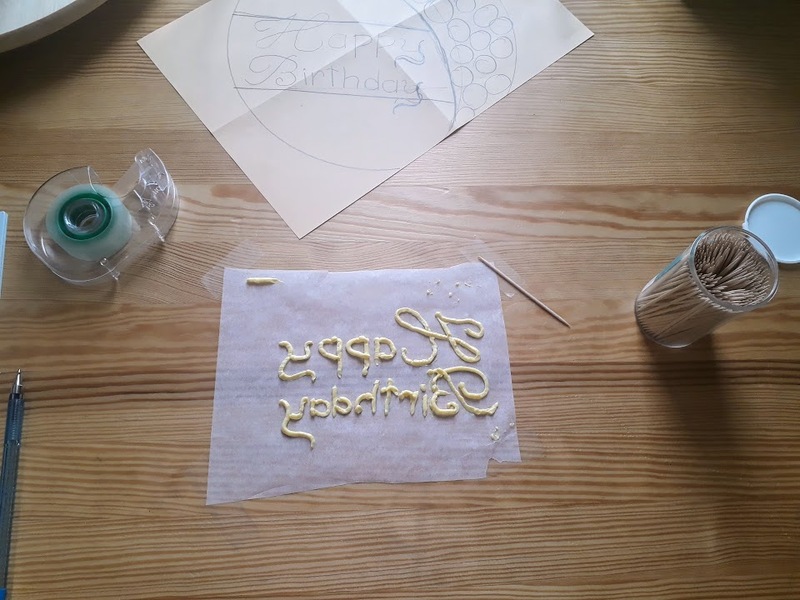 Transfer writing onto your cake before adding any other decorative piping. 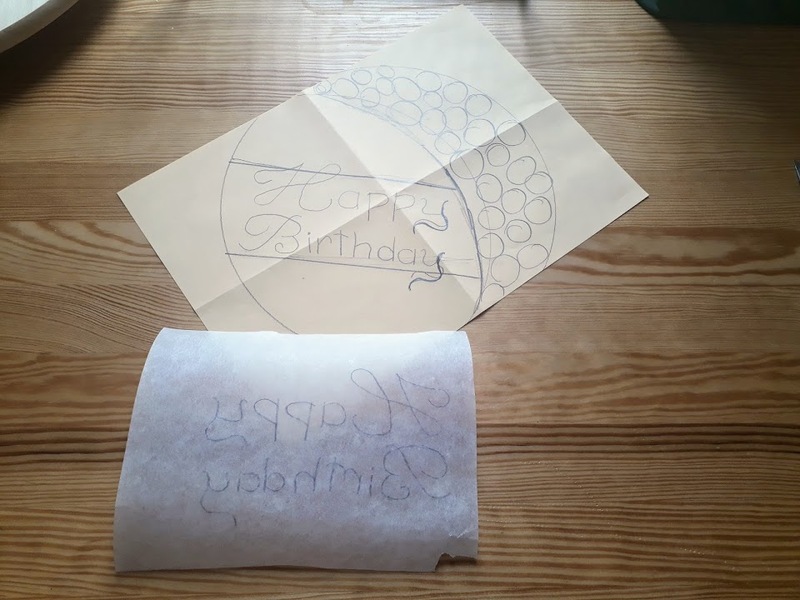 To transfer to your cake, position the baking paper with your piped text over the cake and gently lower the paper onto the cake. 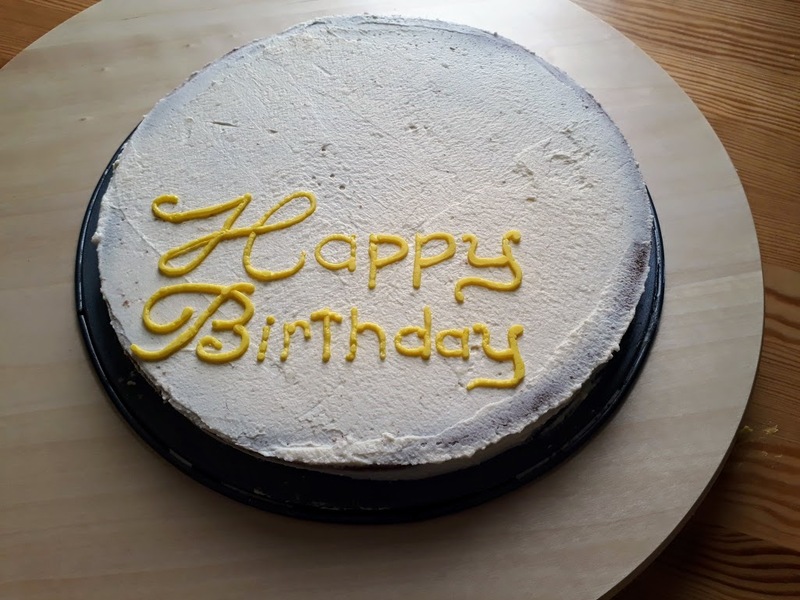 Press the letters slightly into the cake surface. Peel back the paper, you may need to gently rub the back of the paper as you peel it if the letters aren’t staying in the frosting of your cake. If this method doesn’t work, you can always trace out your text onto the cake using a toothpick, and then pipe straight onto the cake.